Challenge 1: Did your family have any New Year’s traditions? How was the New Year celebrated during your childhood? Have you kept these traditions in the present day? I don’t remember much about New Year’s celebrations of my childhood. Our family of six got together with the D family of five, swapping out which home hosted the gathering. We ate Brunswick Stew and played in the basement. Was that New Year’s Eve or New Year’s Day? Meh. 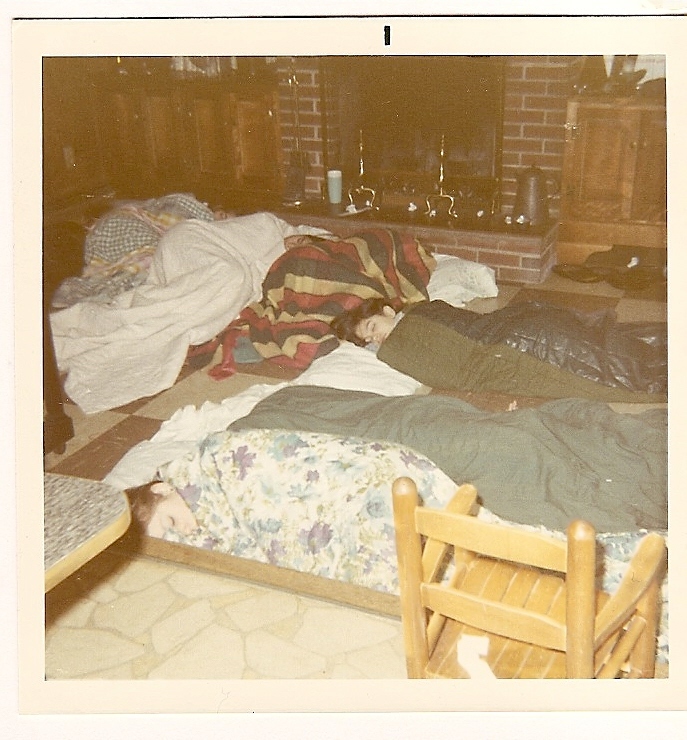 The only celebration that really stands out was a party I hosted on New Year’s Eve, 1969. A gaggle of eighth grade girls giggled and talked from the sleeping bags scattered on the den’s concrete pad floor. The black and white television probably showed footage of the Times Square countdown, and we probably had snacks from the kitchen just steps away. I don’t remember. I don’t remember any conversation–but this. The future suddenly cast a shadow into our small, snug party. We could feel its tug, its scattering hand. Someone started to cry. And we hugged each other, mourning all the losses we would have to live in the new decade. Gradually sleep overtook our eyes, clouding our vision of the future. From that brief moment, I was changed; the human capacity to imagine a future–without current companions–was awakened. It was the dawning of adulthood that dawning of 1970. Great post! Thank you for participating in the 52-week series. Glad you liked it! And I am glad you provided the link for others to join the fun! Thank you!! ya better not forget ME in 10 years!